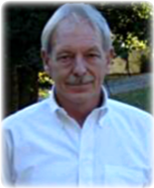 Obituary for Charles Elmer Shafer, Jr. | Bill Head Funeral Homes and Crematory, Inc.
Charles Elmer Shafer, Jr., 65, of Loganville, GA passed away on November 26, 2018. A celebration of life service will be held Saturday, December 1, 2018 at 1:00 p.m. at Bill Head Funeral Home, Duluth Chapel, with Pastor Eddie Johnson officiating. The family will receive friends from 12:00 p.m. until the time of service. He is survived by his wife, Janice Johnson Shafer; daughters, Kimberly Dyer, Jessica Shafer of Loganville, GA and Toby Shafer of Covington, GA; son, Charles Brian Shafer; son-in-law, Mark Dyer of Loganville, GA; father, Charles Elmer Shafer, Sr. of Alpharetta, GA; brothers, David Shafer of Gainesville, GA, Gerald Shafer of Grayson, GA; sister, Grace Wagner of Asheville, NC; grandchildren, Conor, Ryan, Andrew, Nicholas, Lexi, Jeremiah, and Melody. Charles was born on October 21st, 1953 in Lilburn, Georgia. He graduated from Berkmar High School in 1972. In 1986, it was love at first sight when Charles first laid eyes on Janice. They married in 1987. In the years to follow, they brought three healthy children into the world. As a young man inspired by his father, he started lending a helping hand at his father’s family framing company so that one day he would be able to start his own. Every Friday, he would get his paycheck and forfeit all but $5.00 to his parents because that's what he said the kids usually did in the 1950’s/1960’s. In a short time, he opened up his own contracting company doing what he was passionate about. Charles worked in construction for the duration of his life, and his love for the craft was evident in the numerous projects he completed over his career. Rain or shine, Charles worked diligently to provide a wonderful life for his family. Apart from managing his own company, Charles enjoyed watching NASCAR on Sunday afternoons, going for joyrides on his motorcycle and spending time with his family. After coming home from work, he spent his time tossing around a ball for his dogs, Lucas and Callie, who he cherished like children. Charles was a loving husband, father, grandfather and friend to everyone. Charles will be remembered for his enormous, kind heart as he would do without in order to give to others. He poured his soul into giving back to the community whether it was simply helping neighbors with yard work or refilling the neighborhood children’s bike tires with air. He is dearly missed by his loved ones who celebrate the fact that he is at peace and at home with his creator.